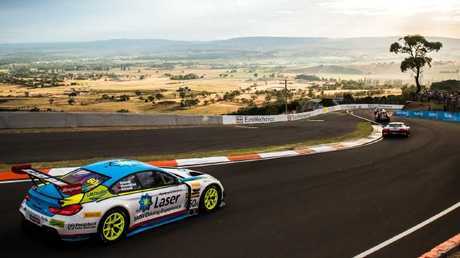 Spectacular backdrop: Mount Panorama will be open for business again soon. Pic: Supplied. THE "win on Sunday, buy on Monday" motorsport mantra still applies to the GT cars that will line up for the Liqui-Moly Bathurst 12-Hour race. 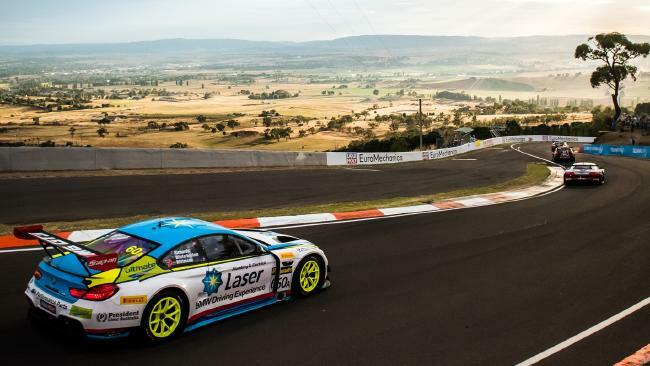 In the annual event, coming up on February 2-4, professional drivers - there are eight confirmed V8 Supercar pilots to date - and amateurs compete on the famed Mt Panorama circuit. The race cars look like the vehicles on show in dealerships and are powered by the same basic engines. There are effectively three classes in this year's event: the premier GT3 vehicles, Porsche's bespoke GT3 Cup cars and the more affordable GT4 machines. The grid is packed for this year’s Bathurst 12-hour. Pic: Supplied. Prices for a GT3 car start at about $600,000 before taxes and import costs; the GT3 Cup cars are about half that and the GT4s are about $270,000. Having bought the car, customers than then decide whether to run it themselves or pay for factory assistance with parts and tuning. Audi Australia spokesman Shaun Cleary says the "born on the track, built for the road" adage is true for GT cars. Of the 200 Audi R8 LMS GT3 cars built since 2009, he says, Australian customers account for 26 sales. 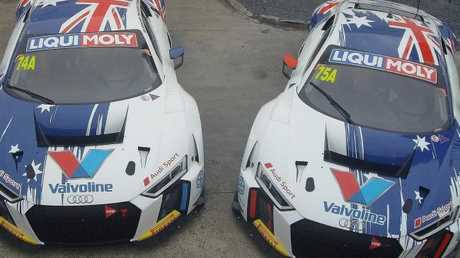 Audi’s LMS cars are proving a hit with customer drivers. Pic: Supplied. "The success of this program has played an important part in building the profile of both the Audi R8 and the Audi Sport brand in the past eight years," he says. "The road and race cars are closely related and built at the same plant." BMW spokesman Adam Davis says the customer racing component appeals to buyers who are looking to step up from track days with the BMW M road car. 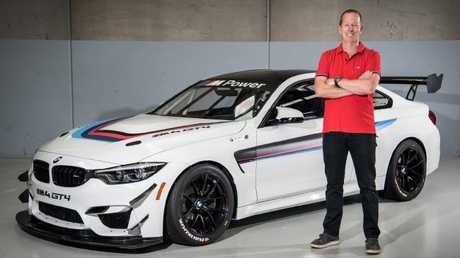 Supercar pilot Steven Richards will race for BMW this year. Pic: Supplied. "Adding the GT4 program was a sensible fit, with the M4 GT4 offering a competitive category racer at a competitive price. It can be driven at a club track day or the Bathurst 12-Hour, which opens up many motorsport opportunities. "It's also a great platform for the next generation of drivers looking to compete at Bathurst." Porsche spokesman Chris Jordan says many performance car buyers want to be able to test themselves and their machines on the track. "There are more than 100 GT3 Cup cars in Australia, which shows how strong the support is," Jordan says. Porsche will have a big presence on the mountain this year. Pic: Supplied. 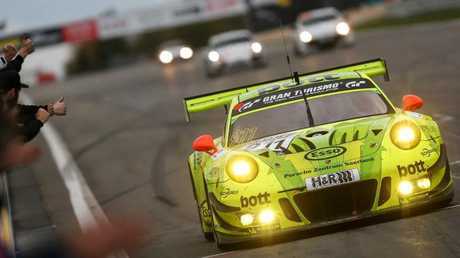 "The Porsche 911 GT3 Cup is remarkably close in specification to the 911 GT3. "All GT3 Cup race cars are produced on the same production line, and by the same people, as all 911 and 718 models, in Zuffenhausen, Germany. "This is the ultimate proof point for technology transfer between race and road." Audi heads this year's entries with 10 R8s due to line up on the grid. It will be joined by a brace of Mercedes-AMG GTs, three BMW M6 and McLaren 650S entries, a pair of Bentley Continentals, two Lamborghini Gallardos and a Lambo Huracan. Nissan's mighty GT-R is a glaring absentee at this year's event - the company is assessing its motorsport involvement in 2018 and has opted to sit out the race. One of the safest cars on the road is also in the running for the safest car on the track. 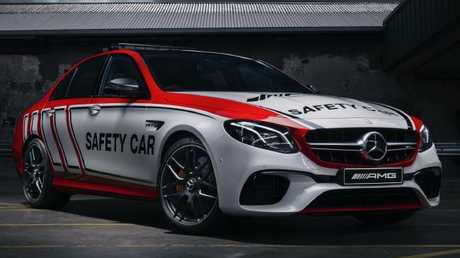 The Mercedes-AMG E63 S will operate as the safety car for this year's Bathurst 12-Hour. The big sedan is one of the few road cars capable of keeping pace with the GT field, thanks to a twin-turbo V8 propelling the AMG to 100km/h in 3.4 seconds, on to a top speed of 300km/h. Mercedes-Benz’s pace car for the Bathurst 12-hour. Pic: Supplied. Beyond providing cars for the official race duties, Mercedes has booked the Mt Panorama track on the Monday and Tuesday after the race for a select group of customers to test themselves with the AMG range. Mercedes spokesman Jerry Stamoulis says the 12-Hour is a unique opportunity for AMG owners to see how their vehicles perform on the track. "We've booked out the seventh floor of Rydges (which overlooks the track) so our customers have the best seat in the house for the race and the following two days they'll get to experience Australia's most famous racetrack for themselves," he says.